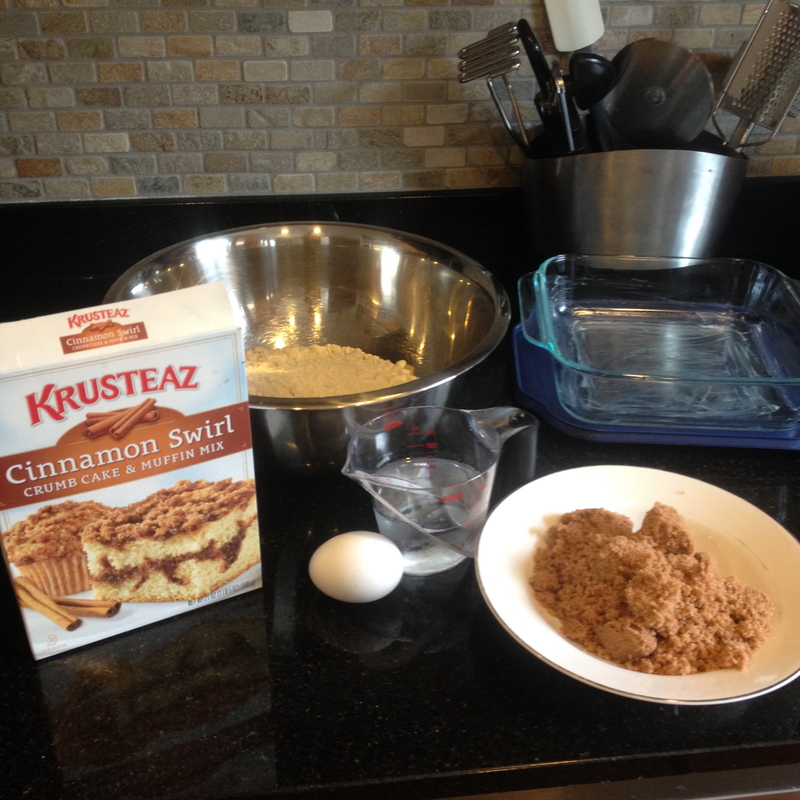 We had another box of Krusteaz in our pantry, and I wanted something easy to make and sweet to eat. 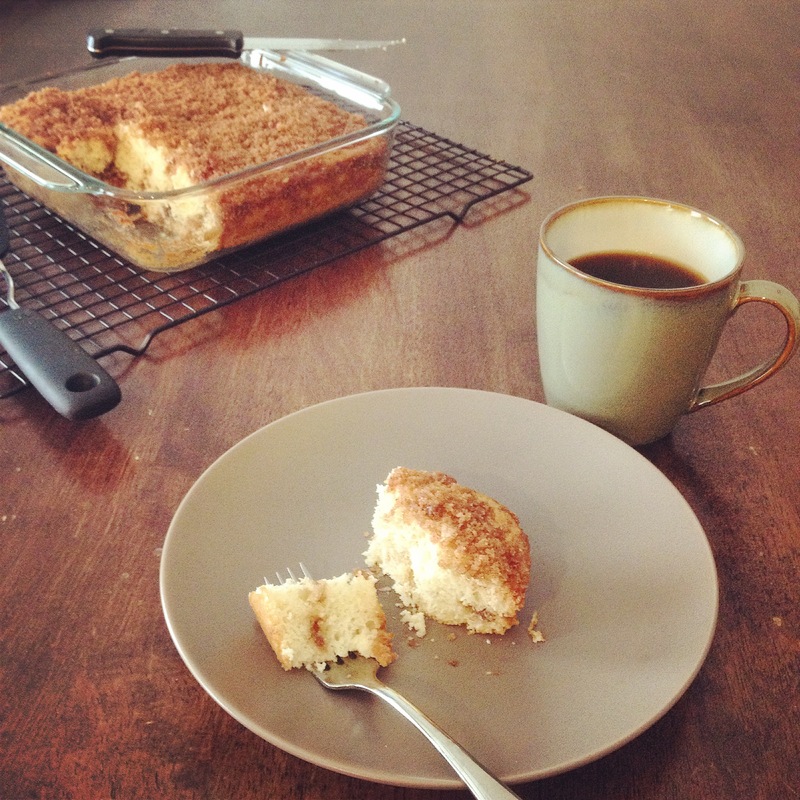 Cinnamon Swirl Crumb Cake & Muffin Mix by Krusteaz came to my rescue! I decided to make the crumb cake but there’s also a recipe to make muffins on the box. Not much else to add so… here we go! Preheat oven to 350 degrees fahrenheit. In a large bowl, stir together the cake mix, egg and water until moistened. The batter will be lumpy. Spoon a little less than half of the batter into the prepared pan. Spread evenly. Sprinkle half of the cinnamon topping evenly over batter. 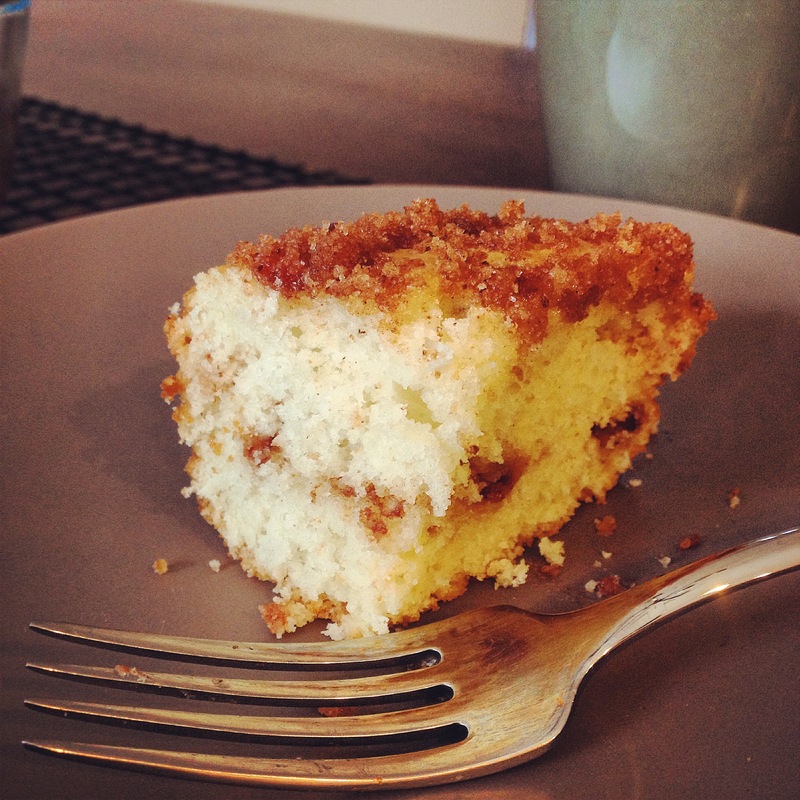 Tip: I poured out the cinnamon topping into a bowl to make it easier to work with. And, it comes in the box. Easy peasy. 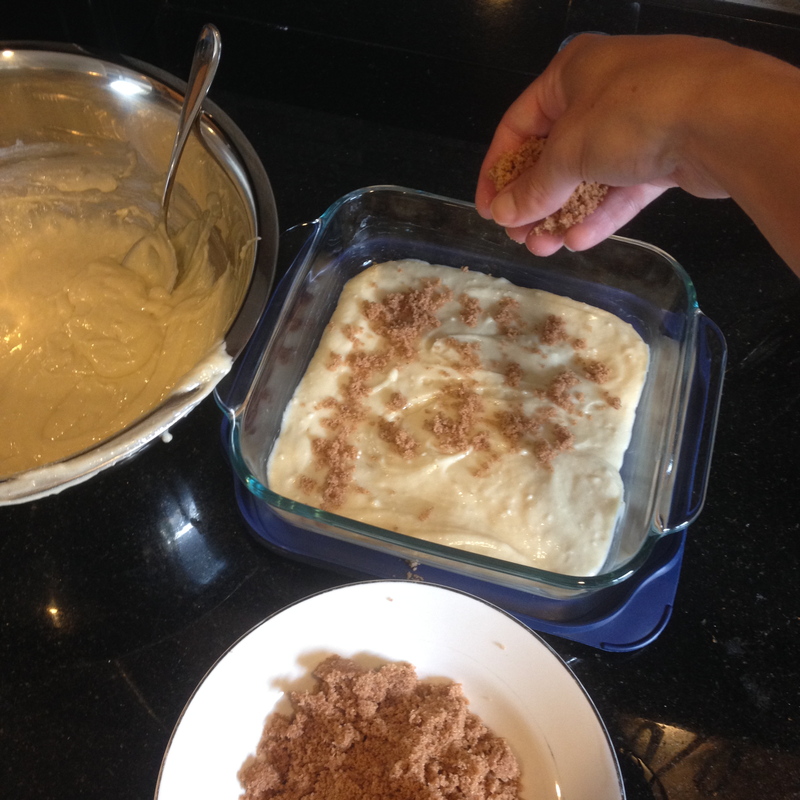 Drop remaining batter in small spoonfuls over cinnamon layer and spread to edge of pan. I used the back of a spoon. The batter is slightly sticky so this process is tricky, but it doesn’t have to be perfect. Sprinkle remaining cinnamon topping evenly over batter. Bake for about 40 minutes. I used a glass pan and took it out at 39 minutes. Always check before the full time is up. Let cool on a wire rack at least 10 minutes before cutting and serving. Enjoy with a cup of coffee! This was a life saver–I had laid my box down on a wet counter and when I picked it up the whole back stuck so I didn’t know how to make it !! So thankyou very much ! !